Fluffy House has been putting out some really cute colorways of their Miss Rainbow vinyl. China Blue is no exception as Miss Rainbow looks like a classic beauty in her outfit. 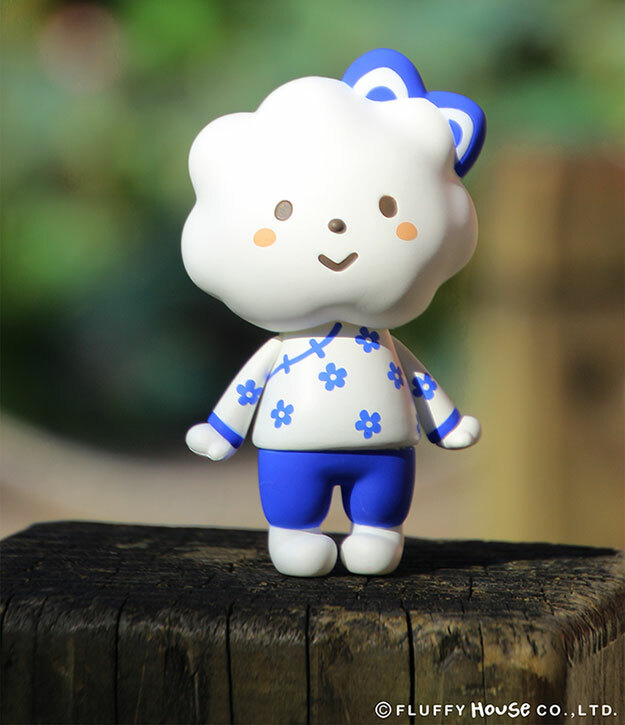 She wears a mandarin collar white shirt with blue flowers and matching blue pants. Her solid blue bow on her head tops off her look, making it hard for us to say no to this cutie! 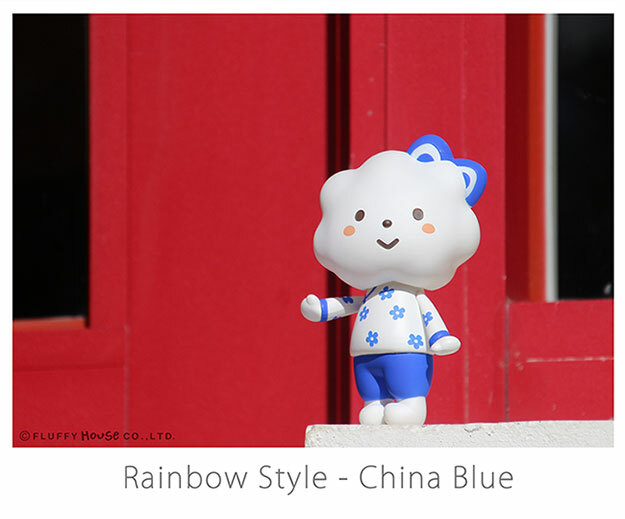 Miss Rainbow China Blue can be yours now for $42 USD on Fluffy House’s website!